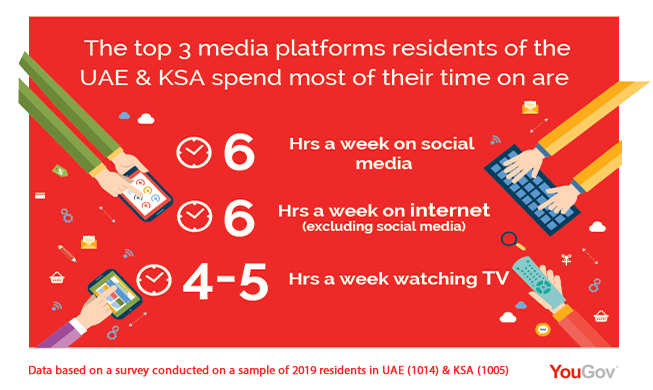 The internet, social media and also TV ranked as the top 3 media that residents in UAE & KSA spend most of their time on during Ramadan. Social media and other internet web sites hold the most of that time, with 12 hours a week divided equally between them. 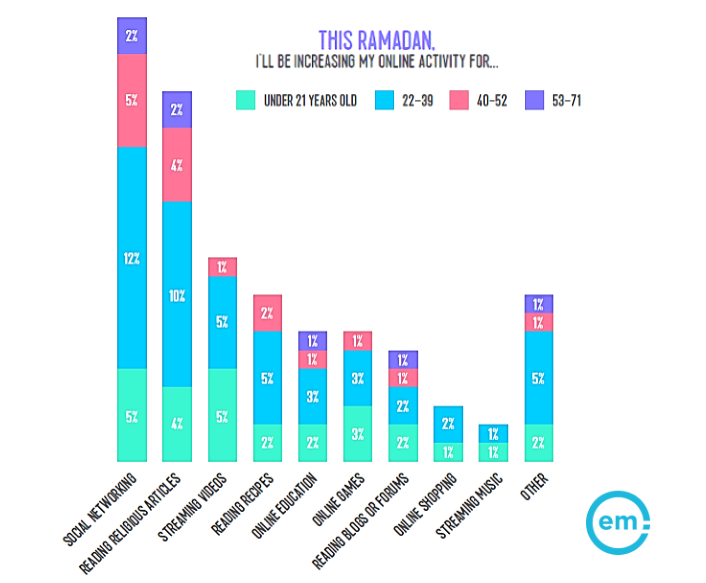 Social networking leads the online activities that will behold an increase during Ramadan. WhatsApp and Facebook rank the same place at the top of most online platforms used during the holy month. In contrast, LinkedIn, MSN, Skype, and Pinterest are equally rank the lowest rates. 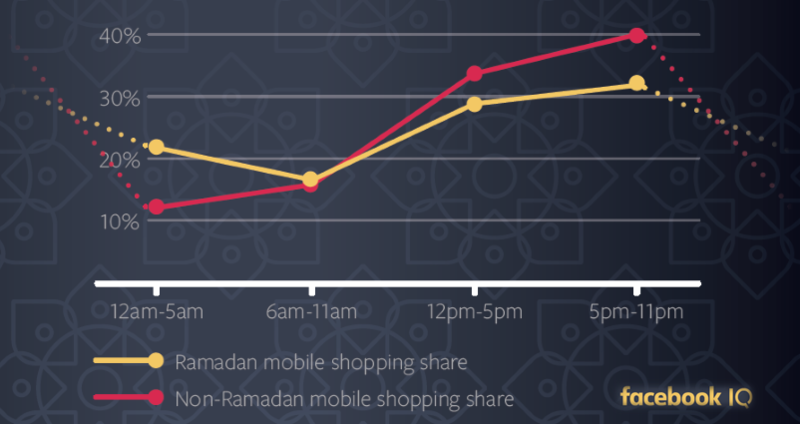 86% of the Middle Eastern Facebook users celebrate Ramadan, and Facebook usage is doubled during this holy month than other months. 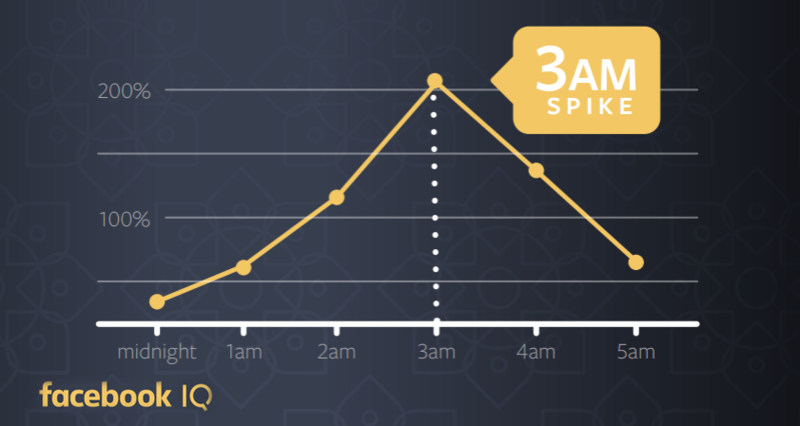 Most of this extra usage is happening at night especially at 3 am which is the Suhoor time that makes Ramadan nights become a shopping time.